Wells Fargo agreed to pay a record $85 million fine, as more than 10,000 Wells Fargo borrowers were inappropriately steered into more expensive subprime mortgages according to the Federal Reserve. "The $85 million civil money penalty is the largest the Federal Reserve Board has assessed in a consumer-protection enforcement action," the Fed said in a prepared release. San Francisco-based Wells Fargo didn't admit wrongdoing in its settlement with the Federal Reserve. 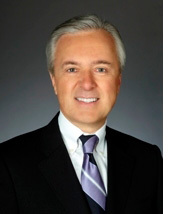 "The alleged actions committed by a relatively small group of team members are not what we stand for at Wells Fargo," Wells Fargo Chief Executive Officer John Stumpf said in a prepared release. The bank promised to work closely with the Fed in the ongoing efforts to remedy the alleged mistreatment of borrowers. In addition to the monetary components of the settlement, Wells Fargo is required to improve oversight of its anti-fraud and compliance programs and incentive compensation and performance management policies for personnel who sell and underwrite home mortgage loans. The fraudulent activity took place over four years from early 2004 to the autumn of 2008. According to the Fed, the bank must compensate borrowers for losses, some of whom could receive more than $20,000. At least 3,700 borrowers will be compensated, the Fed estimated. Wells Fargo has to review a subset of borrowers who took out subprime loans to determine whether they were illegally steered into more expensive mortgages. 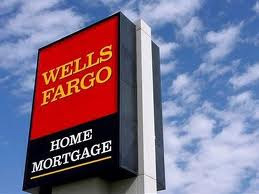 Wells Fargo is the largest U.S. mortgage lender. It turned a $3.9 billion profit last quarter. It's made $7.7 billion in profit thus far this year.